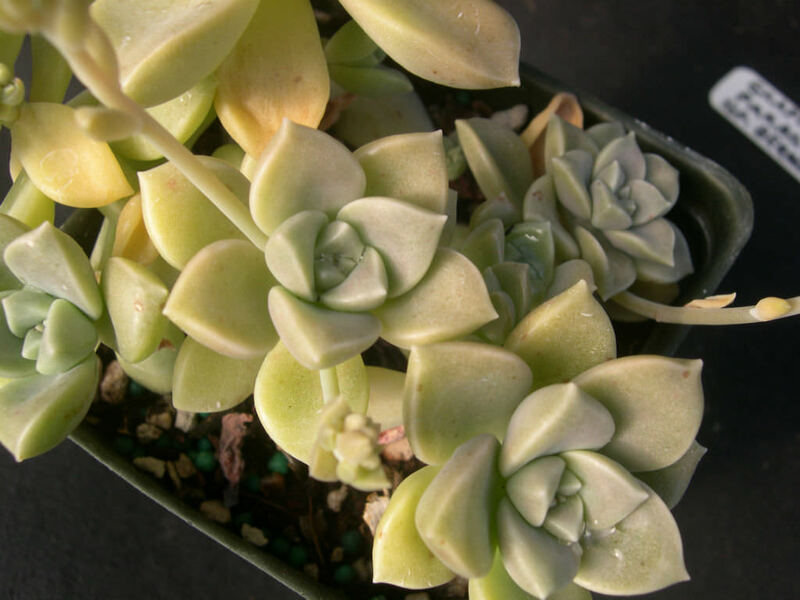 Graptopetalum paraguayense subsp. 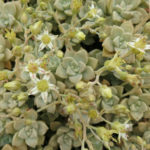 bernalense differs from G. paraguayense subsp. 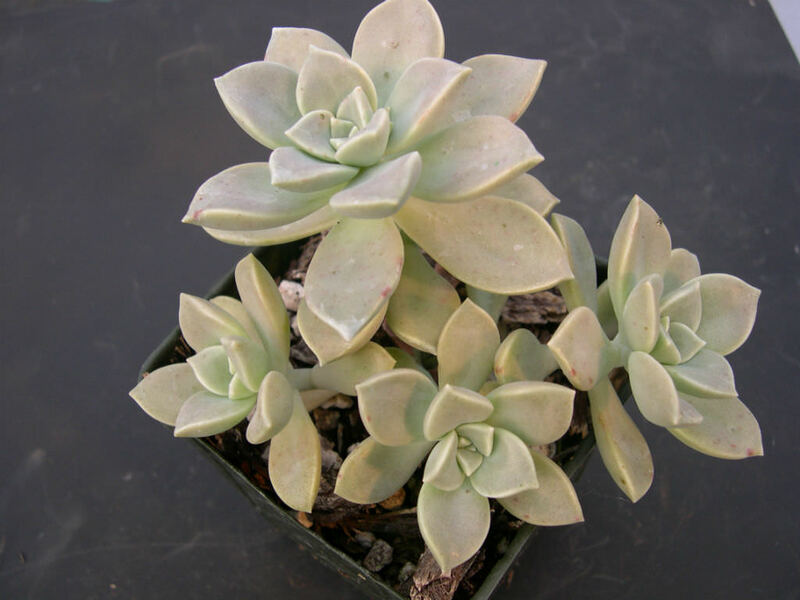 paraguayense by being smaller in all it parts and for its yellowish leaves not more than 1.6 inches (4 cm) long. 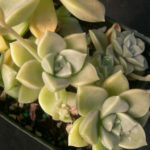 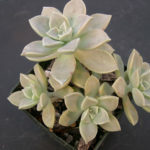 It is a very interesting, clumping succulent with relatively small rosettes, up to 8 inches (20 cm) tall and up to 2.8 inches (7 cm) in diameter. 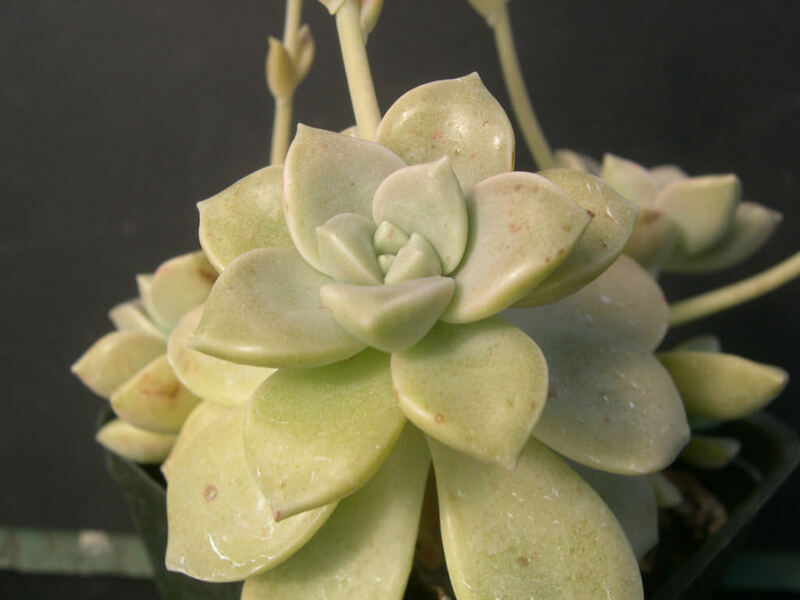 The leaves are triangular in shape, yellowish or greenish-cream or (under stress) pinkish colored, up to 1.6 inches (4 cm) long and up to 0.6 inch (1.5 cm) wide. 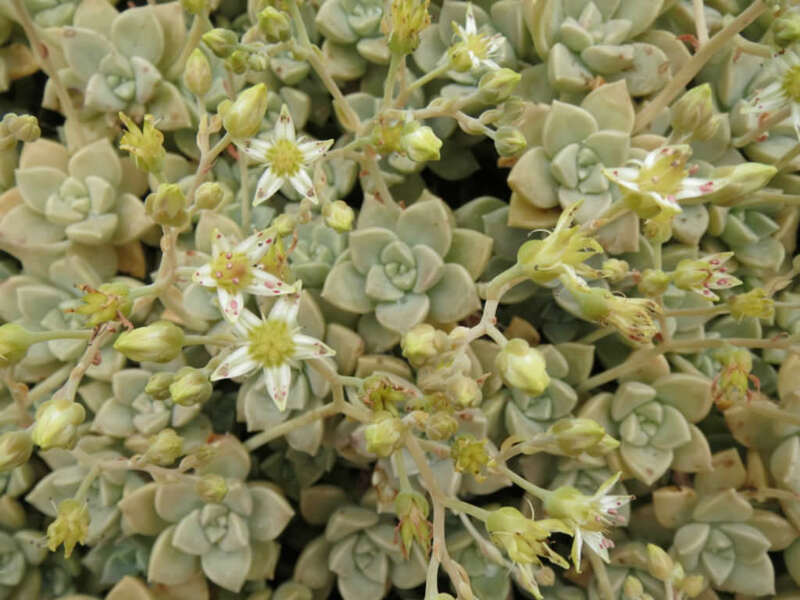 The flowers are whitish with small red specks up to 0.6 inch (1.5 cm) in diameter.